R W Armstrong has always placed high importance on the recruitment, on-going training and development of its staff. 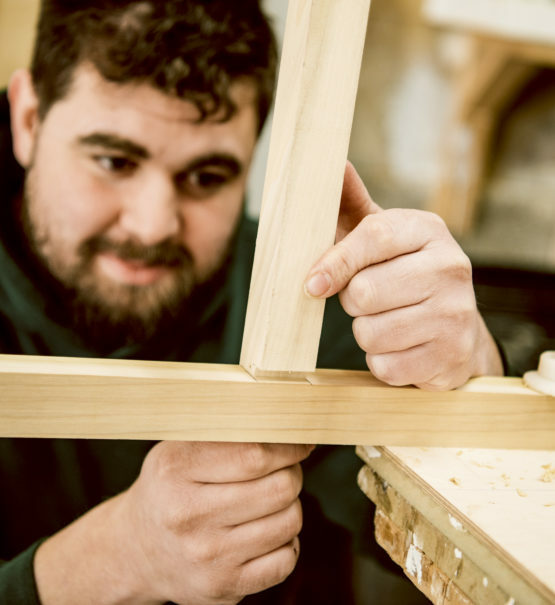 The company is committed to passing down and keeping alive traditional skills by nurturing new young talent through its apprenticeship scheme, to share generations of knowledge and craftsmanship in the restoration of period properties. It is proud of the success it has achieved in its development of apprentices over many decades, with a significant percentage remaining with the company for many years. Promotion within the company is encouraged with several former apprentices now holding senior management positions. Every year, R W Armstrong enrols several new apprentices in a variety of trades, either in its joinery workshops or on-site. Apprentices will attend any number of local Technical Colleges, depending on their specialism, in order to complement their on-site experience. They are teamed up with skilled on-site mentors and will develop their craft over a number of years. In addition, the company is currently sponsoring a number of staff through higher education and university degrees.